In today’s photo we see a University line car that jumped the tracks (oopsie!) 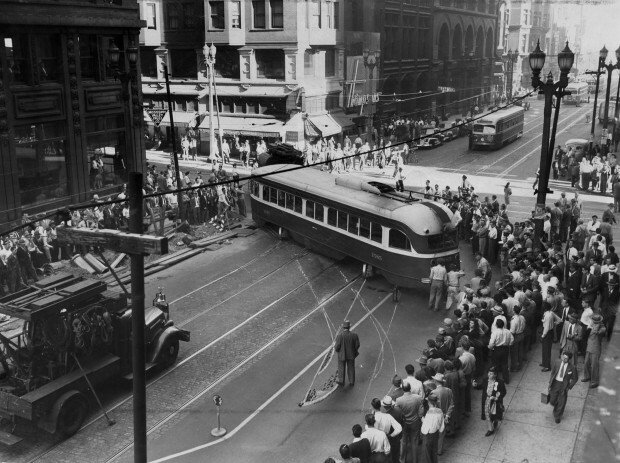 at a switch at Broadway and Olive Street downtown on Sept. 26, 1946. No one was injured in the mishap that drew quite the crowd of spectators.